We want to hear about your experience with us at Classical:NEXT 2018. How did we do? What you would like to see us improve on and what we should bring back next year! Thank you in advance, we look forward to reading your responses! 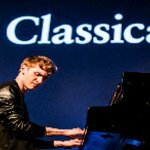 Have Your Say - Make Classical:NEXT Better!